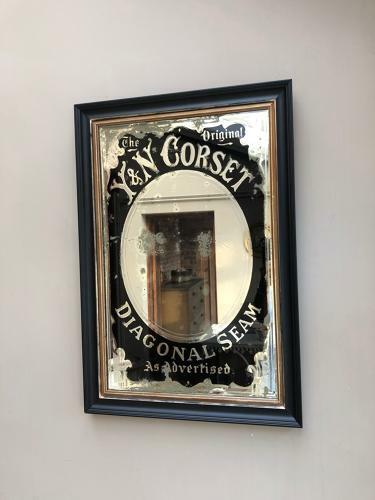 Wonderful Edwardian Mirror Advertising "The Original Y&N CORSET. DIAGONAL SEAM As Advertised" Black reverse glass painted with silver gilt and central oval mirror section. There is foxing over the mirror but it doesnt detract....such a great look about it. Sympathetically framed in an Ebony Wooden Frame. VERY heavy...So collection or Courier UK £45 (Not including Scotland).